Since 1988, Church at the Cross has provided a weekday early education program for preschoolers. Our staff of trained professionals are committed to helping each child develop a love for learning, basic social skills and a love for God. Loving care and guidance are provided in our Kids Building: 35,000 square feet of classrooms, an indoor play facility called The TreeHouse, theater, preschool library and much more! Over 150 preschoolers and their families made us their choice for weekday early education last year! 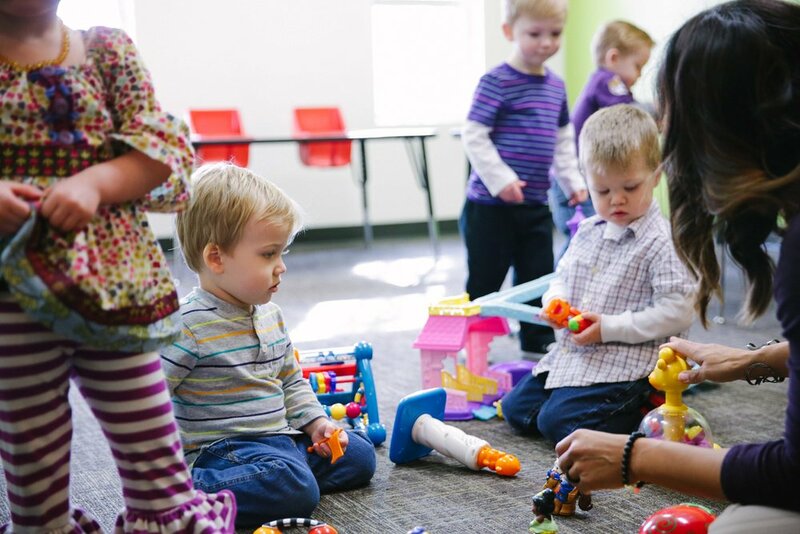 The goal of our early education program is to provide an environment of personal care, learning, creativity and fun to help with spiritual, emotional, physical, mental, and academic development staying consistent with the Christian principles of Church at the Cross. Our teaching staff is dedicated to making Kids at the Cross a positive experience. The rooms are arranged into play-learning centers where children can make choices for both individual and small group activities. Our program uses the WeeLearn Curriculum, a developmentally based curriculum. Also, an academic curriculum which includes academic tools like Alpha Time and Frog Street Press, is added in the 4-yr-old/Pre-K classes. Each 4’s/Pre-K class focuses on helping to prepare children for a positive Kindergarten experience. Our goal is to build upon the developmental foundations of trust, independence, and initiative so that each child will feel good about him/herself and his/her world. We feature monthly thematic special days. Some of our favorites are Drive-In Movie Day, Western Day, Pajama Day, and many more! We also have a special Mother’s Tea and a graduation for our Pre-K.
We believe that children learn best through play. Kids at the Cross includes activities to enhance our curriculum such as music and movement and library story time. Chapel is led weekly by our director and music teacher. We have a monthly focus on colors, shapes, scriptures, finger plays, and science experiments. Various enrichment activities include art, cooking, imaginative play and so much more. Celebrated holiday parties including Christmas, Easter, and Valentine’s Day. We also celebrate each child’s birthday monthly including a summer birthday celebration. Kids at the Cross is in session every Tuesday and Thursday, September through May. We provide an extended “Stay & Play” option for children who are enrolled. 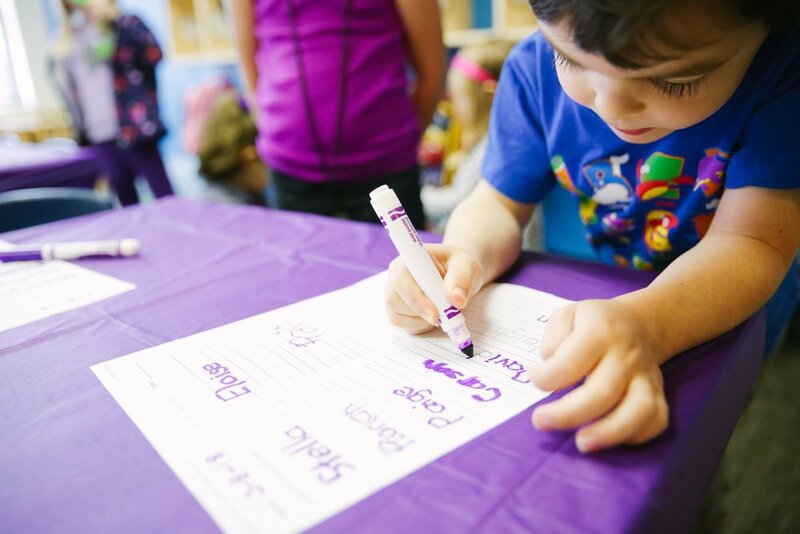 This includes activities for babies through transitional Kindergarten, led by our very qualified staff. Activities include playtime in our indoor play facility, The TreeHouse or in our outdoor play park, an occasional movie, craft, snack, etc. Extend your child’s day of fun while you take care of errands you need to run. We follow the GCISD calendar for school holidays. There will be no Kids at the Cross the week of Thanksgiving and the week of Spring Break. Fall School Year 2019-2020 begins September 5, 2019. Tuition is due the first Thursday of each month and considered late after that day ($10.00 late fee applies). There is no reduction in tuition for absences. If you want to enroll your child in our program, please click "Schedule Tour" below and the Director will contact you. She will let you know what availability we have for this upcoming school year.